This is a weekend we look forward to all year. 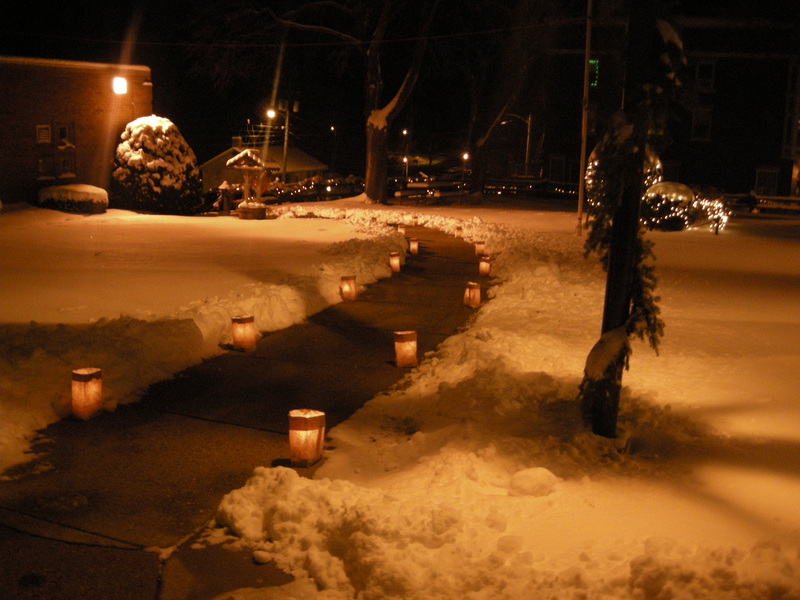 We make this Galley Night something special by lining the streets of downtown Mineral Point with hundreds of lighted luminaries. The garlands are hung, the wreathes are lighted, treats are ready, shops are filled, Mineral Point sparkles. All we need is you. But before we light the candles, bring the kids out for Santa Day at Shake Rag Alley. 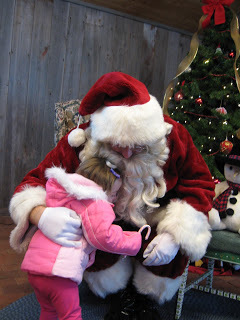 Come for photos (10 – noon) with Mr. & Mrs. Claus and join in with the kids for some fun family crafts. It all happens from 10 – 3 at Shake Rag Alley. The Mineral Point Kiwanis set up at the corner of High and Chestnut Streets and roast chestnuts over an open fire. Seriously – what says Merry Christmas better than that! Our shops are ready with plenty of new merchandise for gift giving. Galleries are featuring artists with new work. One of the things that makes Mineral Point so special is that you can meet the artists and purchase gifts directly from them. You’ll want to start early so you can make it to ALL of them! Here is a map: Gallery Night to get you started. OR just follow the candlelight! The luminaries are lit from 5 until 9, but the shops and galleries are open all day. After a day and night of shopping and dining, we have live music too! The Driftless Beggars (Jesse Bauman on drums, Matt Sweeny on bass, John Birner on guitar, Shannon Williams on guitar and lead vocals and welcoming back a special yet familiar additional vocal lead in the shape of Rebecca Williams)will be playing at Tequila Point. Meeker and Maiden (better known as Aaron and Monica Dunn) will be at Gad & Pick. No need to choose – there will be time to enjoy both! We may not have snow for you this year, but we promise that you will find plenty of charm to make this a most enchanting evening. Bring the whole family. Grab a friend ..or many … and come to Mineral Point to start your holiday out right. This entry was posted in Architecture, Art, Family, Food, People, Shopping, Traditions, Upcoming Events. Bookmark the permalink.